The Department has lost contact with one of their chemists, Dr. Hoffman. In Unlock! The Formula, you must seek out his laboratory deep in the New York subway tunnels, locate the doctor, and recover the formula before time runs out. The clock is ticking...can you escape? Unlock! is a series of escape adventures for up to six players. 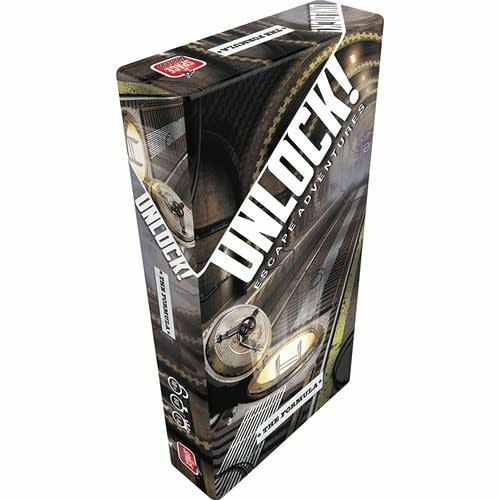 With one hour on the clock, players work through a deck of sixty cards as a team, searching for clues, combining objects, and solving puzzles.